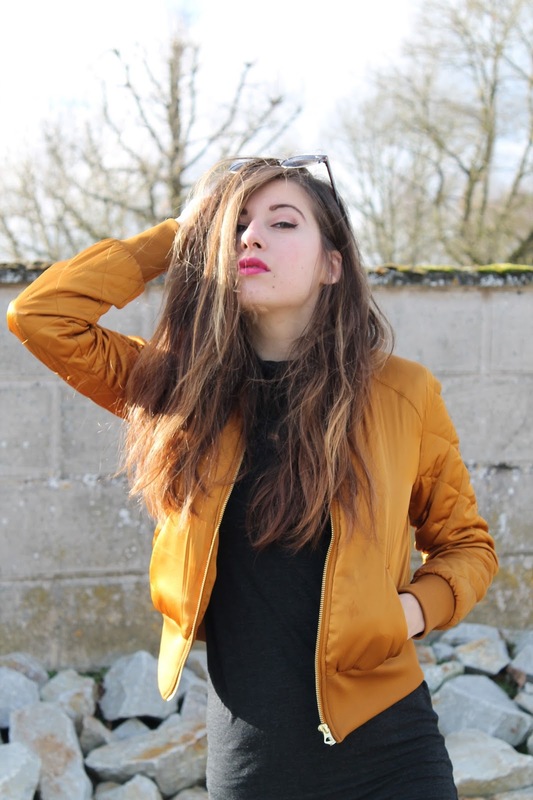 The Little Fashionette: Da bomber ! EN : Quick post before packing my suitcases for New York City ! I didn't want to leave you without making a post and I absolutely wanted to show you my favorite outfit of the moment ! At the moment I'm in a phase of experimentation, I've decided to wear some colors as that bomber shows it so well and if you know me well I'm always wearing black and grey or different shades of dark but I don't know what happened but when my eyes met that bomber I fell in love with it and my credit card had suddenly grown up legs and put itself into the mobile card machine (ok I just don't want to admit that I can't stop buying clothes) and also I've never thought I'd wear a turtle neck dress, I always hated these kind of clothes because for me turtle neck = suffocating ... I surprise myself everyday or is it a sign of growing old ? j'adore ce genre de tenue!!! !